There's nothing like finding an unpublished post when I'm lacking inspiration! Well, this was technically published as a guest post for Kaitlyn a few weeks ago but it's new to you and that's what matters! So even though it's still still 90s here I'm going to be telling you about my favorite looks for fall. Not that I am anywhere close to a fashion blogger, but I like to pretend I know what looks cute. So pretend with me, okay? First off is the basic fall look of mixing neutrals. I really love doing this because it looks so comfy and it's pretty hard to get wrong. However, I love to add a splash of color, even into the winter. 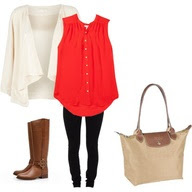 To do this, I keep the basic dark pant with boots or flats, and pile on the neutral accessories. Then I add a top that will make the outfit pop. I love this because the yellow is so bright and fun, but the outfit is still fall appropriate. It can also take you from work straight through happy hour and out to dinner. Who doesn't love 3 outfits in one? 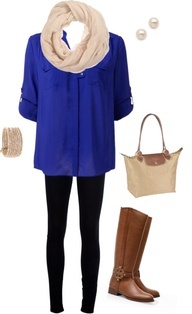 I love this blue shirt with scarf because the blue gives it the fun splash of color, and the scarf keeps the look cozy. The pear accessories are great for classing the outfit up. This outfit combines 2 of my favorite fall trends, pop of color and layering! Throw on any bright colored shirt and add a cute sweater (I love the one above with the uneven hemline) and you have a fun easy fall outfit! soooo cute! can't wait!! today's high here was 53 degrees! HOOORAY! one step closer! So adorable! I especially love the first one. Pearl rings is a must to every outfit for me, so elegant yet simple. Can't wait for Fall! So jealous it is colder up there. This Florida weather is going to kill me! LOVE FALL! And Fall fashion! :) So cute! 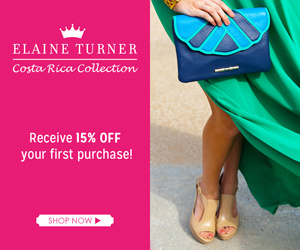 Looking forward to catching up on your blog! I've been MIA from the blog world! 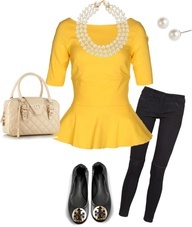 Love that yellow peplum top, so cute!